Using the nicotine patch plus another nicotine replacement therapy (NRT) product improves your chances of staying quit. As soon as you wake up each morning, stick the patch on your skin. It slowly releases nicotine into your body. When you get a craving, or when you think you’ll get one, take a fast-acting nicotine product such as: mouth spray, lozenge, inhalator or gum. The patches give you a steady dose of nicotine all day, whereas the fast-acting NRT gives you a hit when you would normally have smoked. You may still get some cravings but the NRT combination helps reduce nicotine withdrawal symptoms such as cravings, difficulty concentrating, frustration, restlessness and anxiety. This combination approach is very effective. The patch is easy to use but some may find two products too tricky. The patches are available on the Pharmaceutical Benefits Scheme (PBS) for a discount if you see your doctor for a prescription. In most cases, using NRT in combination is cheaper than smoking. Using combination therapy is one of the most effective ways to quit. It’s more effective than using just one NRT product, and it more than doubles your chance of quitting. If you add Quitline to the mix, you’ll have an even better chance. To learn more about combination therapy, request a Quitline callback. All NRT products work best if you use them for at least 8 weeks (12 weeks is recommended). Use patches plus at least four lozenges or pieces of gum per day, and no more than 12 pieces per day. Use no more than 6 inhalator cartridges or 32 mouth sprays per day. Combination therapy works best when you also work on stress and strategies to beat the habit. Is it safe to use two nicotine products? If you use each product correctly, there are generally no side effects. There is less nicotine in NRT products, compared to cigarettes, so it’s unlikely you’ll get too much nicotine. If you’d like to try combination therapy, talk to your doctor, pharmacist or request a Quitline callback. 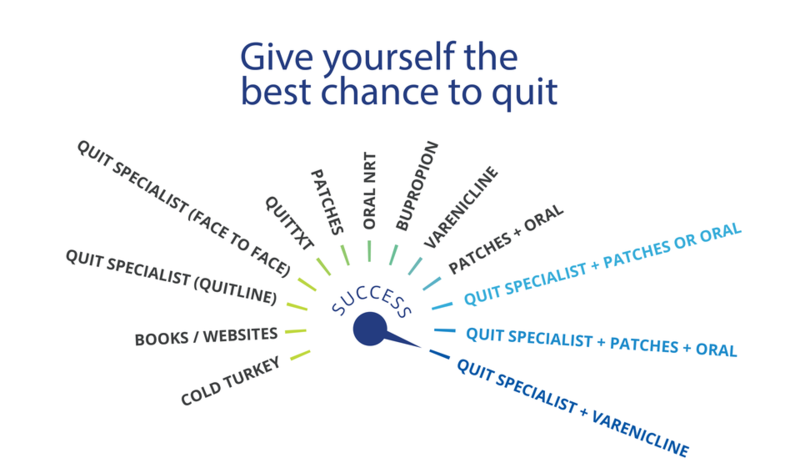 There are heaps of quitting options and methods out there. How do you decide what's best? 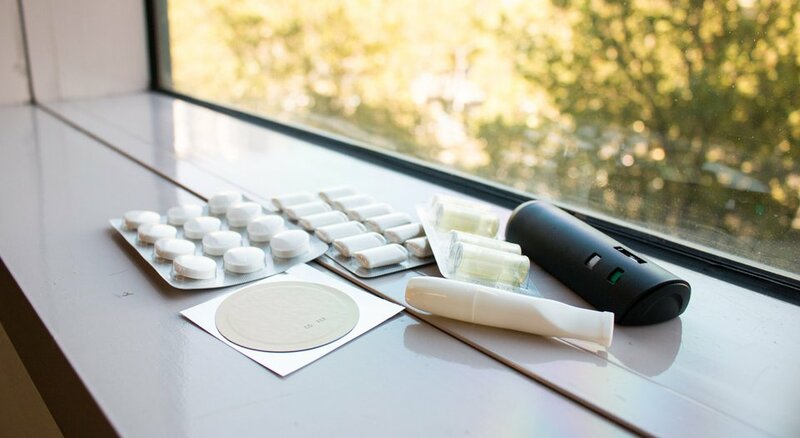 Below we'll answer common questions about nicotine replacement therapy (NRT) products such as the patch, gum, mouth spray, lozenge and inhalator.